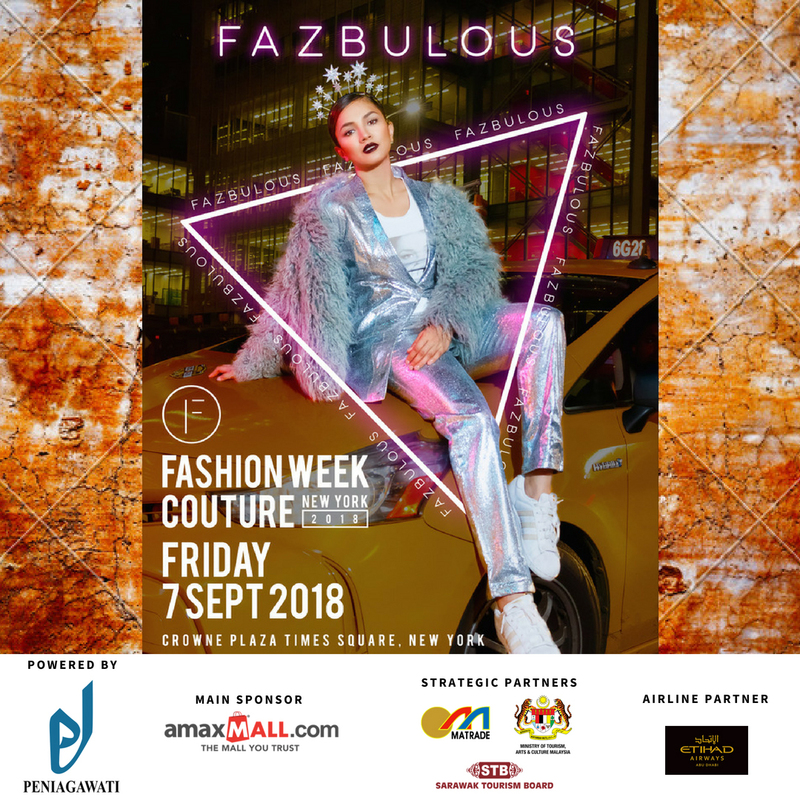 Couture Fashion Week New York, now entering its 28th season as one of fashion week’s most prestigious events, is pleased to present a brilliant showcase of top Malaysian designers on Friday September 7, 2018. The fashion shows will be held at the Crowne Plaza Times Square, 1605 Broadway, New York City. The designers represent the best of Malaysian fashion design. Fashion shows will be accompanied by electrifying performances by the Sarawak Tourism Board Dancers, bringing a tantalizing taste of rich Malaysian culture to the Big Apple. Designers showing at 4:00 pm are Adli Afandi, P’Lo by Nancy Jullok, Adamaya, and Touch of Songket. Designers showing at 6:00 pm are Raeesa, Hafilda Prestige, Alame, and MakCun by Erma Fatima. Designers showing at 8:00 pm are Fiziwoo, V_Hijrah, Fazbulous and Rizman Ruzaini. 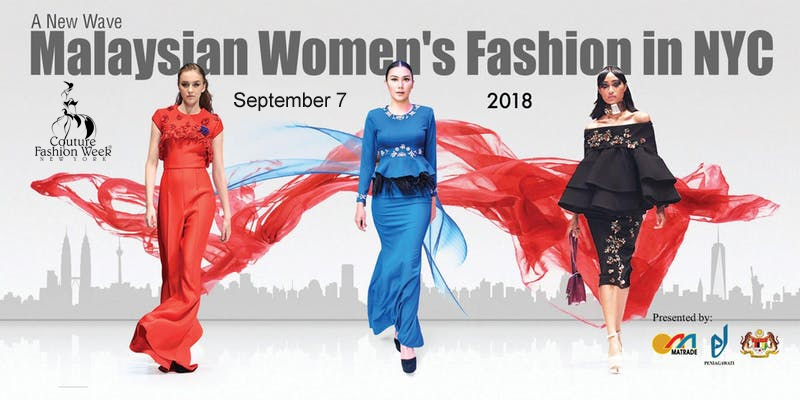 Sponsors and partners for this exciting day of top Malaysian fashion and culture in New York include: Peniagawati, AmaxMall.com, MaTrade (Malaysia External Trade Development Corporation), Malaysian Ministry of Tourism, Arts and Culture, Sarawak Tourism Board and Etihad Airways. A special pre-event invitation-only reception will be hosted by the New York City office of MaTrade on September 5. 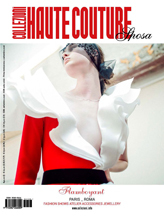 Click for fashion show tickets and more information. [sg_popup id=”18″ event=”onload”][/sg_popup] Rising Malaysian design stars Eja and Shahril will present their latest collection entitled “Tun Teja” at Couture Fashion Week New York’s 26th season. Marking the label’s first appearance at the prestigious fashion week event, the highly anticipated fashion show will be held at 8:00 pm on Friday September 8, 2017 in the Broadway Ballroom of the Crowne Plaza Times Square Manhattan in New York City. In calling this collection “Tun Teja” the design team of Eja and Shahril are striving to represent the Muslim design community, modest fashion design and the country of Malaysia to the world. The two young designers are a married couple from Pahang, Kuala Lipis Pinang Island. Since the concept of modest fashion is not well-known in the western fashion industry, Eja and Shahril have made this collection with a wide appeal, modest yet suitable for all women. They have shown their designs at important fashion events including the International Indonesia Muslim Festival, Kuala Lumpur Islamic Fashion and many more international stages. The theme of this collection, “Tun Teja,” is inspired by a famous heroine of Malaysian legend. With their showing in New York, Eja and Sharil hope to raise awareness of this Malaysia legend and to introduce the dignity and majesty of Muslim Fashion internationally. The show will include a special appearance by Mira Filzah, the famous Malaysian actress, model, host and entrepreneur. She is well-known in Malaysia for her roles in popular TV dramas including Dunia Lola and Cinta Si Wedding Planner, as well as the recent launch of her own brand of organic skin care products and her designs of shawls and hijabs. Mira was listed as one of the 100 Most Influential Young Entrepreneurs 2016 by Entrepreneur Insight, Malaysia, and currently has more than 2.2 million followers on Instagram.